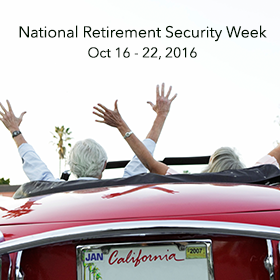 National Retirement Security Week was from October 16 - 22, and no, that doesn’t mean everyone got to retire. Instead, it was a week that Congress has dedicated to raising public awareness of the importance of saving for retirement and the various ways you can do that. 61% have not fully recovered from the Great Recession (41% have somewhat recovered, 13% have not yet begun to recover, and 7% may never recover). 77% are concerned Social Security won’t be there when they are ready to retire. 65% believe that they could work until age 65 and not save enough to meet their needs. There is happier news when you look at how different generations see—and are preparing for—retirement. Let’s start with the good news from another Transamerica Center for Retirement Study report on people who are already retired. Nearly all (94%) retirees surveyed described themselves as “generally a happy person.” Nearly as many said they are enjoying life (90%) and have a strong sense of purpose (84%). Not surprisingly, making sure their basic living expenses are covered is their top financial priority. And while Social Security is the bedrock of their retirement income, other sources of income, such as savings and investments (48%), company-funded pensions (42%), and 401(k) plans and IRAs (37%) also play important roles. Some Baby Boomers are already among the happily retired, but many are delaying or denying the idea of retirement. Two out of three Baby Boomers say they do not plan to retire at all, or if they do retire, it won’t be until after age 65. Just over one-third of them expect Social Security to be their primary income source during retirement, yet the median household savings for retirement is a mere $147,000. This group of workers is not at all confident (12%) in the likelihood of a comfortable retirement. Nonetheless, 77% of them are using an employer-sponsored 401(k) or similar plan to prepare for retirement. However, with families to raise and educate, their median household retirement savings is a mere $69,000. Despite being farthest away from retirement, Millennials stand out as early adopters of retirement savings. They started saving for retirement at a median age of 22 and 72% are already saving through a company-sponsored or an individual savings plan. A 401(k) or other form of retirement savings plan is one of the most valued benefits employers can offer to employees, with 89% of workers calling it an “important” benefit. And when an employer offers a retirement savings plan, 90% of employees participate, on average. In contrast, if an employer doesn’t offer a savings plan, far fewer employees (48%) are likely to save on their own. This is one area where Millennials are leading the way. 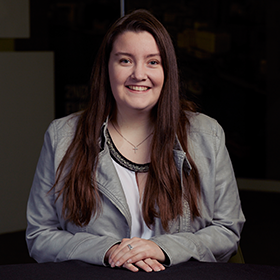 They are avid (75%) for more information and advice. No surprise; 80% prefer to receive that advice via a mobile app. Having a financial strategy for retirement is important at any age, yet barely half (54%) of current retirees have one, and a mere 10% of those plans are written down. Take the first step toward making sure your retirement is comfortable and secure by talking with an Entrust professional. Sign up for a free consultation today.